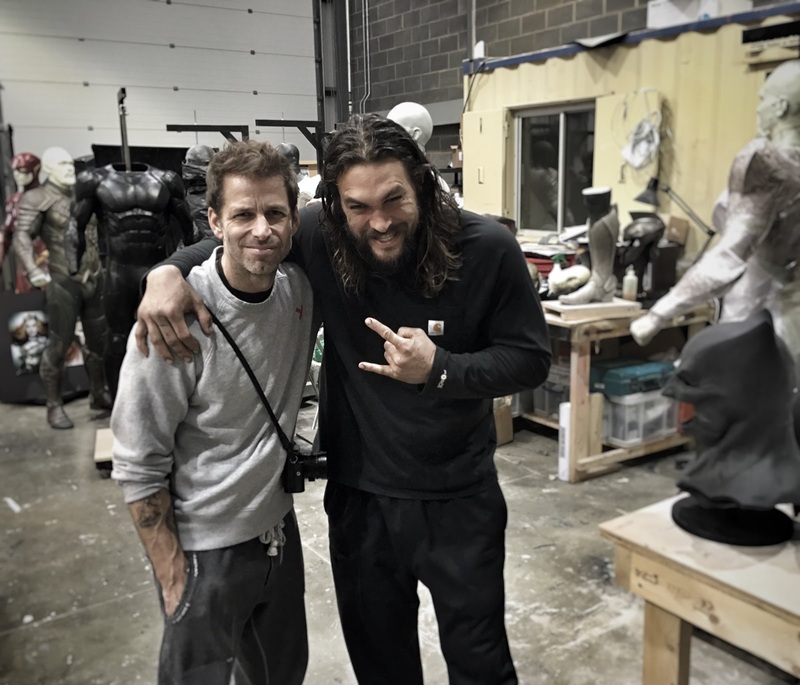 Batman v Superman: Dawn Of Justice director Zach Snyder, who will also be helming Justice League Part One, showed off this photo today with Jason Momoa who is portraying Aquaman and boy does it tease the hell out of us. From the looks of things we get a good look at Aquaman's costume, a glimpse of The Flash suit, what appears to be a portrait of Mera, Aquaman's wife, and is that a Nightwing costume just behind Snyder? What we wouldn't give for 5 minutes in that room! Justice League Part One begins production April 11th for release in 2017.